Have you ever read a comic book or watched a superhero film and thought, Now that’s who I’d like to be!? Strong, brave, and deeply committed to mission. Kind and compassionate yet fiercely unafraid when confronting wickedness. Able to kick bad guys upside the head with every glossy strand of hair in place. And yet? When I sat in that darkened theatre the other afternoon and watched Diana Prince Save the World from Evil? Something inside me longed to be that girl. 40 years younger, 40 pounds lighter, 40 times tougher. A woman able to lift cars off cringing mortals and leap tall towers with a single bound. Wonder Woman. I watched a TV interview with Israeli actress Gal Godot, who portrays Diana in the latest iteration of the 1940’s-era comic book heroine. Gal learned to handle weapons while serving as a combat instructor in the Israeli Defense Force, as required of all Israeli citizens. 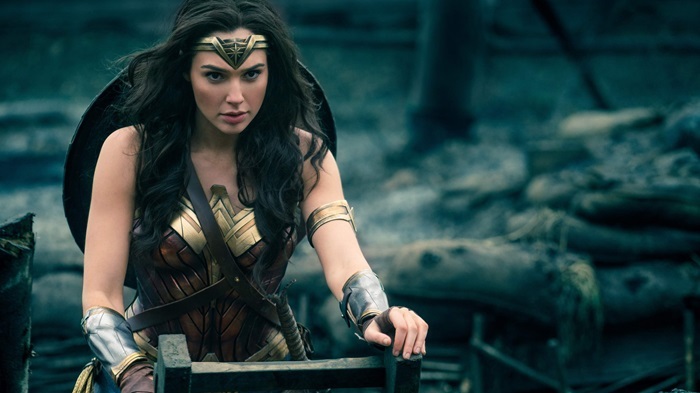 Married for nearly ten years and the mother of two young daughters, she filmed Wonder Woman while five months pregnant. Take that, Superman! A thoughtful Christianity Today review states that “superheroing while female is a radical act.” I get it. Most action flicks feature male leads or female characters (Supergirl? Batgirl?) who are knock-offs of their masculine counterparts. But superheroing while female is nothing new. Deborah did it while ruling as a judge centuries ago in a patriarchal Israel. Miriam did it when she ensured the safety of her brother Moses on a Nile riverbank. Mary did it by bearing and raising the child who was born to be the Savior of mankind. The first recorded word that child spoke following his death and resurrection? WOMAN. And with the love and superpower strength of a mighty God inside them, women have been superheroing ever since. The college girl who handles a heavy course load while working for justice on her campus. The mom who holds down simultaneous full-time jobs raising kids and running an office. The senior woman who leads a Bible study while quietly serving others in her assisted living facility.